FRISCO, Texas (July 24, 2018) — Games kicked off Tuesday at the 2018 US Youth Soccer National Championships at the Toyota Soccer Center in Frisco, Texas. The teams took the stage, making their first push to earn one of the 14 National titles that will be awarded this weekend. The field of 96 teams is comprised of the nation’s top players in the 13U through 19U Boys and Girls age groups. All the games are meaningful for youth development and there are no easy games­­ as teams vie for the US Youth Soccer National Championships crown. “The fact that our game was 0-0 until the last minute is a testament of that,” said Sporting BV SKC Academy 04 (KS) Head Coach Declan Jogi. “You want to put players in an environment where they’re playing high level players and teams in games that matter. Going into this weekend they know that every game matters and they have to find a way to compete." Group play takes place over the course of three days and will conclude on Thursday. Three points are awarded for a win, one point for a tie and zero points for a loss. The top two teams in the 13U and 19U age groups will advance to the National Championship final on Saturday, while the top two teams in each group in 14U through 18U play advance to their respective semifinals. The event is estimated to bring more than $5 million to the local economy. In addition to the impact locally, the championships provide college coaches from around the country with a premier stage to evaluate future collegiate players, offering a tremendous impact to players and their families. Many college coaches and U.S. Soccer scouts lined the sidelines on Tuesday to watch the players make their first push for the 2018 National Championship. All of the teams competing in Frisco earned their place in the National Championships via success in the US Youth Soccer National Championship Series or the US Youth Soccer National League. 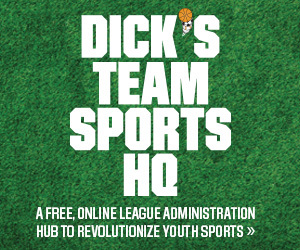 Live broadcasts of more than 80 games, daily highlight videos, photos, reports and complete results from the tournament are available on http://championships.usyouthsoccer.org/. For the 13U Girls group, San Diego Surf 05 Academy Select (CA-S) defeated KHA 05 Red (KY) to open the tournament with a win. After back and forth play in the early going, KHA struck first with a goal from Kennedy Clark at the top of the box in the 32nd minute. KHA took the 1-0 lead in to the half. In the 37th minute, Nicole Anderson scored the equalizer for San Diego. In the 53rd minute, Anderson scored her second goal of the game to give San Diego the lead. Maryn Wolf extended the lead for San Diego just four minutes later off an assist from Maiya Soleil Dimry. Anderson scored her third goal of the game, earning her a hat trick, in the 67th minute off a cross from Kyah Otholt. Wolf scored her second goal of the game just a minute later off an assist from Dimry, giving San Diego the 5-1 win. In a matchup of Michigan sides, Michigan Jaguars 04 Green (MI) got the better of Nationals Union 04 Black (MI) with 1-0 victory. After a scoreless first half, the Jaguars finally broke the deadlock in the dying embers of added time. In the 72nd minute, Kaitlin Mazure hit a searching ball from deep into the box and found the feet of a wide open Mairin Wessner. Wessner turned and got her shot off before the onrushing keeper could close down the angle to give the Jaguars the 1-0 win to pick up its first three points. Defending National Champions, LVPSA 03 Red (NV) came back to tie Cleveland FC 03 (OH-N), 2-2 in 15U Girls Day One action. After taking the lead in the 20th minute thanks to an Alexis Blue strike from outside the box, LVPSA gave up a late first half goal. Peyton Cook tied the teams up in the 38th minute pulling Cleveland level when she finished a shot from a teammate that deflected off the back of a LVPSA defender and landed at her feet in the box. The game looked like it would remain 1-1 through the final whistle when Elizabeth Majka finished off her penalty kick chance to pull Cleveland ahead in the 78th minute. LVPSA immediately answered back, scoring within the next minute as Alexis Pashales leveled the score with a bomb from 24 yard out over the head of the Cleveland keeper. The final whistle blew, and each team ends with one point heading into Day 2 of play. Legends FC 02 Academy (CA-S) started Nationals strong with a 5-0 victory over Midwest Regional Champions North Shore United 02 Blue (WI). After a scoreless 30 minutes, Legends scored a flurry of goals to end the first half. The Cal South side opened the scoring as Layla Comeaux scored in the 31st minute. Just a minute later, Camille Hawley added a goal to make it 2-0. Hawley added a second six minutes later to bring the score the 3-0 and then teammate Ariyanna Buggs added Legend’s fourth before halftime. Legends picked up where they ended in the first half, scoring the game’s final goal in the 42nd minute of play to earn its 5-0 victory and an important three points on Day 1. FCKC Academy Blue Elite (MO) dug themselves out of a 2-0 hole to defeat Rebels 20001 Elite (CA-S), 3-2 in 17U Girls group play. After a scoreless first half, Olivia Sekimoto started the scoring putting Rebels up after a 54th minute goal. Erin Healy added a goal just one minute later to give the Rebels a commanding 2-0 lead early in the half. FCKC showed its perseverance as it began to fight back starting with a Lily Farkas goal in the 67th minute. Farkas tied the game in the 82nd minute adding to her already impressive goal tallies from Regionals and National League. FCKC kept knocking on the doorstep and finally earned the game winner to complete the comeback victory as Madilyn Hamline found the back of the net. Campton United SC (IL) earned its first win in the 18U Girls group with a win over Scottsdale Blackhawks Taylor (AZ). Saydie Holland scored in 10 minutes in to the game to give Campton the early lead. Just four minutes later, Victoria Thornton scored off of a corner kick, extending Campton’s lead to two. Campton had an opportunity to extend its lead to three with a free kick midway through the first half, but the kick sailed just high of the net. At halftime Campton lead 2-0. Four minutes into the second half, Emily Chiao scored to bring Scottsdale within one. Scottasdale continued the aggressive play, but Campton held them off to capture the 2-1 win. Midwest Regional Champions, NSA Shock (IL) used three first-half goals to push it to a 3-0 victory over Invictus SC 99 (TX-N). Kendra Pasquale gave Shock a 2-0 lead early in the first half as she scored a brace in just the first 10 minutes of the game. Erin Flynn added a goal in the 17th minute to push the NSA lead to 3-0. NSA continued where they left off in the Midwest Regional final, keeping another clean sheet to guide it to a victory. The win gives the Illinois side an important three points and puts it one-step closer to a berth to the final. Soccer Nation Academy 05 (KS) defeated Rise 05 Elite (TX-S) 2-1 to claim its first ever National Championships win. Soccer Nation jumped into the lead just eight minutes in when 13U Boys Midwest Regional Championships Top Scorer Anthony Castor found the back of the net off a cross from Manuel Romero. Castor added a second in the 29th minute to give his team a 2-0 advantage heading into half as he slid his shot into the bottom right corner. Rise pulled one back in the 43rd minute to cut the lead to one with plenty of time remaining to level the score. Edvin Hasica slipped a ball across the face of goal to Ronan Corley who finished his chance from close range. The Soccer Nation defense held on and the Kansas side earned three important points as they move on to the second day. Sporting BV SKC Academy 04 (KS) scored a late goal to defeat USA/MP 04 Premier (SC), 1-0. USA/MP kept the ball in its offensive half for the most part, while Sporting had some through balls for its attack, but USA/MP locked it down on defense. Sporting broke through in the 69th minute as Dalton Visconti slotted the ball in the bottom left pocket of the goal. Without much time left to play, USA/MP was unable to level the game, and Sporting walked away with the win. OK Energy FC Central 03 (OK) defeated Total Futbol Academy (CA-S), 2-0, to kick off its National Championships debut. After a scoreless first half, Fernando Saldana – 2018 Southern Regional Championships top scorer – broke the deadlock with a goal in the 45th minute. David Meacham added a second goal just two minutes later to give OK Energy a 2-0 lead early in the second half. The OK Energy defense held off the Far West Regional Champs until the final whistle to earn the victory and three big points. In a tightly contested 16U Boys game, Solar 02 Stricker (TX-N) defeated Club Ohio Green 1 (OH-S), 2-1. Solar struck first in the 19th minute with a goal from forward Jonathan Sauceda. Forward Harvey Castro scored in the 33rd minute, extending Solar’s lead to two. In the 43rd minute, midfielder Matthew McLaughlin brought Club Ohio back within one with his first goal of the tournament. Solar took a 2-1 lead into halftime. Club Ohio kept attacking in the second half, but was unable to capitalize. After 90 minutes, Solar prevailed with a 2-1 victory. PPA KSA 01 Pro-Profile (GA) earned its first win in the 17U Boys group with a 3-0 victory over Santa Barbara SC (CA-S). After a scoreless game through most of the first half, forward Deedson Vixamar found the back of the net in the 45th minute, giving KSA a 1-0 lead heading in to halftime. Just 10 minutes in to the second half, midfielder Alex Eristavi netted his first goal of the tournament to extend KSA’s lead. Vixamar secured the win for KSA with his second goal of the game in the 90th minute. Defending National Champions, Baltimore Celtic SC 00 (MD) defeated Sparta 00 JK (UT), 2-1, to earn its first victory at the 2018 US Youth Soccer National Championships. The victory is Celtic’s sixth straight win at Nationals after going 5-0 in last year’s event. Age group leading goal scorer and Golden Ball winner from 2017, Justin Gielen, opened the scoring late in the first half, giving Celtic the lead heading into halftime. Sparta’s Fabian Gonzalez Limones leveled the score midway through the second half giving the Utah side a spark of life. Benjamin Stitz added a goal in the 84th minute of play and the Celtic defense held off Sparta during the final minutes to seal the victory. Baltimore Celtic SC Christos (MD) opened up the 2018 National Championships with a narrow 1-0 victory over FC United 1999 Select 1 (IL). In the first half, FC United kept its touches close and worked the ball around, getting several looks at goal. Baltimore Celtic attacked more in the second half, and a close opportunity came when Jacob Steinberg ran onto a driven diagonal ball, leaving him stranded in a 1-v-1 situation with FC United goalkeeper Hunter Faurbo. As both players went in for the 50/50 tackle, Faurbo cleanly blocked the shot. Baltimore Celtic’s Brett St. Martin scored the only goal of the match as Aidan Welsh served a corner kick to his head, giving the Maryland side the victory. For complete statistics, including goal scorers, please visit the schedule, standings and scores website. 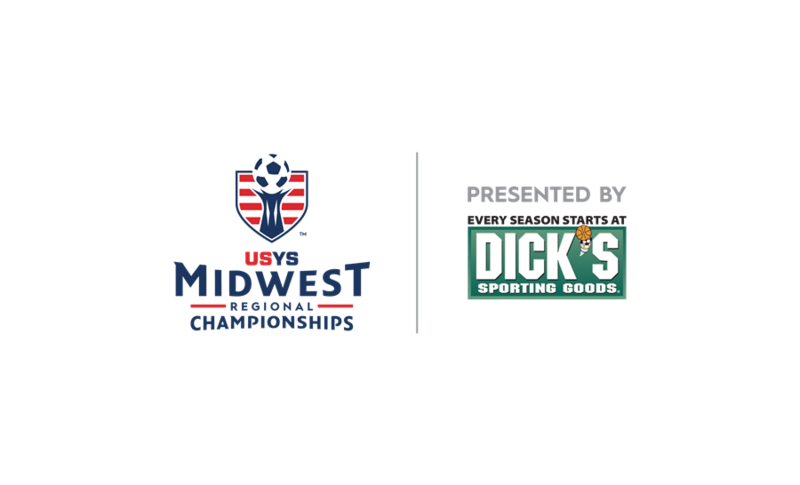 The tournament consists of US Youth Soccer Regional Champions in the 13U through 19U Boys and Girls age groups, as well as the US Youth Soccer National League qualifiers in the 14U through 18U Boys and Girls age groups to complete the field of 96 teams. Each year brings about new challenges and highlights the motivation and commitment of these youth as they continue pursuing their dreams of being one of the best youth soccer teams in the United States. The National Championships are the final step of the US Youth Soccer National Championship Series and are open to any US Youth Soccer member. The U.S. Soccer Federation initiated the open youth championships with the James P. McGuire Cup (19U Boys), the oldest trophy in youth sport in 1935. Since its creation in 1974, US Youth Soccer has added 13 divisions to the National Championship tournament, with the 13U Boys and Girls divisions added in 2013 to reach the current format. Follow the moments from the US Youth Soccer National Championship Series on Twitter and share the moments with us on Facebook and Instagram.